Lillian R. Dunlap, Ph.D., Principal and CEO of Communication Research Enterprises, LLC, has an impressive record of success guiding primarily journalism and media organizations in developing innovative management and diversity strategies. She is a former resident faculty member and now affiliate faculty at the Poynter Institute for Media Studies in Florida and a former professor of broadcast news at the University of Missouri School of Journalism. Lillian’s consulting clients include many colleges and universities; the International Broadcasting Bureau; the Associated Press, and several U.S. newspapers and radio/television stations. 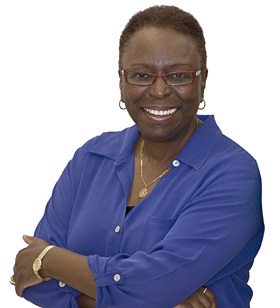 During her nearly 40 years in the media industry, Lillian has worked as a reporter and television producer, served as the national seminar leader for the Radio and Television News Directors Association’s (RTNDA) ‘News Management Seminars for Journalists of Color and Women’, worked as a senior consultant to the award-winning Eyes on the Prize II and is co-author of an online teaching guide to the book, The Authentic Voice: The Best Reporting on Race and Ethnicity (Columbia University Press, 2006). Among Lillian’s international clients are South Africa’s Institute for the Advancement of Journalism (IAJ), the South African Broadcasting Corporation (SABC) and the University of Central Lancashire’s Journalism Leaders Programme in Preston, U.K. Lillian received a bachelor’s degree from Defiance College and serves on its board of trustees. Her master’s and doctorate are from Indiana University-Bloomington.